The Chair for this debate was Arash Massoudi, the Corporate Finance and Deals Editor at the FT.
Before introducing his panel, Arash gave his impression of last week at Davos. What he called the “top story” was that the atmosphere was gloomy. There is usually one country or technology that grabs the headlines and makes for exciting discussion. Not this year, and that made it all feel a little flat. And, of course, the political stars were absent (see session two). Although climate change is increasingly in the news, it was trading wars and the threat of a Chinese slowdown that were the main topics in meetings and debates. For example, in an hour’s discussion at Davos about serious business risks, a total of 58 minutes was spent on China. It would seem that in the M&A space there is no slowdown in activity because of consolidation. The technology sector downturn in December caused no panic or even alarm among the bankers advising companies in their M&A strategy. 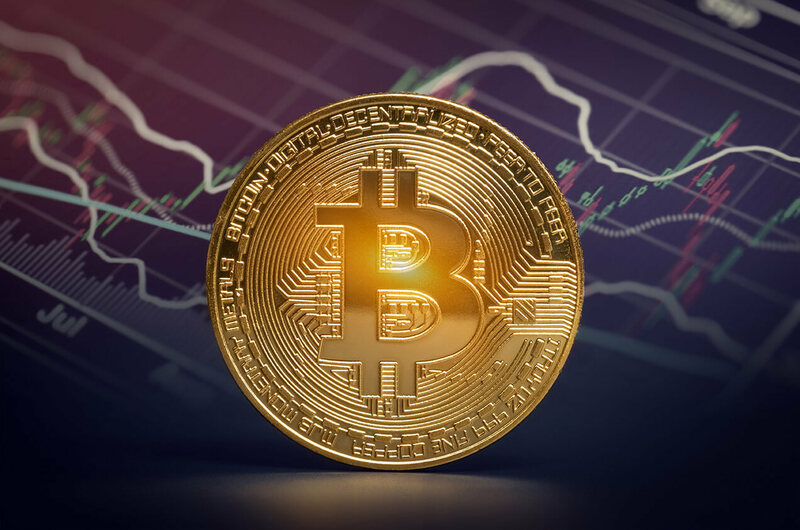 It’s clear that a degree of sophistication is allowing them to see through temporary market movements. One change that is affecting the M&A sector is the increasing questioning of whether maximising shareholder value should remain the dominant driver for mergers. Arash invited Michal – from event sponsors Bank Pekao – to give his impressions of Davos and what it told him of the state of banking. Michal thought that the biggest change from 2018 was the vanishing of what had been a mood of unprecedented optimism. With regard to Brexit, he believes that with the UK leaving, countries like Poland will miss help driving through market reforms. 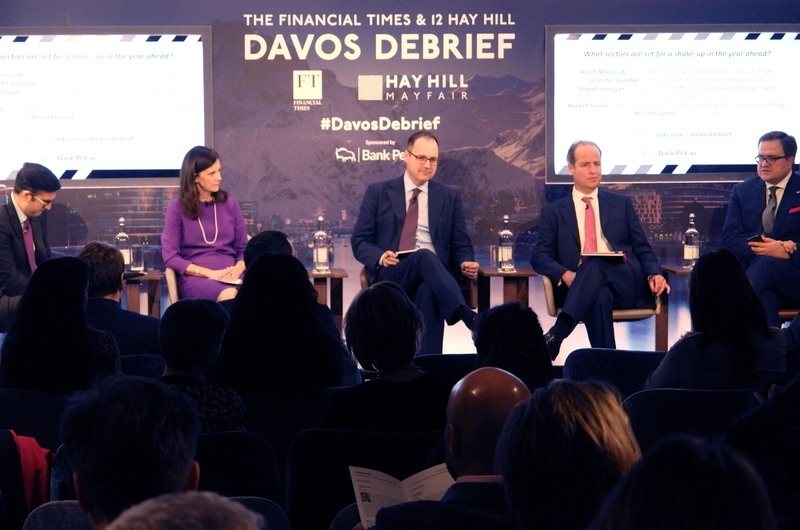 Talking to bankers at Davos – and more widely – Michal believes there’s still a need for further consolidation across many sectors, especially in the face of disruptive technologies and even the ability of smaller countries to generate new ideas and way of working. It would appear that mega-sized deals are increasingly likely. Finally, he believes banking as a sector should be less worried about FinTech and more about JVs where technology company align themselves with new delivery methods or disruptive business ideas. Jennifer said that M&A activity has slowed perceptibly since the Brexit vote. Opportunities remain, however, especially in technology. Nobody can neglect how much disruption continues across all sectors and there is a tendency to try to protect yourself against competition by buying a rival. It remains dangerous to invest sometimes without good knowledge – and good advice – because it can be easy to invest in something that is very quickly overtaken by the new. Jennifer also made the point that it’s easy to underestimate the impact of Brexit when trying to make business deals. In the eyes of foreign investors or potential partners, we look shallow or even a little foolish. Roland believed that it was economics rather than politics that was causing any downturn in that last quarter of 2018 and which was still continuing. Looking ahead, he worries that some of the political issues coming to the fore will catch up with the economics and exaggerate any existing negative impact. Arash added that some big deals are now being blocked by regulators. He also told us that George Soros at Davos had surprised some by applauding the Trump administration’s attacks on the Chinese business model. Meanwhile, the UK is currently looking to strengthen competition rules. This led to a brief discussion on shareholder versus stakeholder value. The recent denial of the Astra Zeneca bid in the UK highlighted a change in emphasis, with the social aspect becoming as important, if not more so than a simple estimation of the potential shareholder gains. Roland made the important point that, legally, it is the role of a director to ensure shareholder value but a change is definitely coming and there will be increasing transparency needed around reporting societal and stakeholder benefits. This will have an increasing impact on M&A activity, with some transactions simply not happening, either because governments step in to block them or because the parties involved recalculate the risks. Moving into countries with dodgy human rights records, for instance, or where large redundancies will be a result of the merger, are likely to cause concern. Climate change was introduced to the discussion and Arash asked David what conversations he had heard at Davos. David said that climate change came up often enough, it was energy sector disruption that was the main focus. Questions of how soon batteries and renewables would replace traditional energy, for example. This was coupled with concerns about sunk investment and the possibilities of government intervention. Climate is important to Centrica but the focus is on helping customers control and monitor their energy use. It’s hard for one company to lead the way when the UK government doesn’t seem to be able to decide what the energy policy should be in the face of climate change. It was agreed that tackling climate change needs a sense of collective responsibility across many businesses in the same way that a group of US companies are looking to tackle health insurance, first for their employees, and then to roll it out more widely if it proves successful. A final question from the floor asked that, if the global elite – as represented at Davos – couldn’t come up with answers– or even the start of a plan – to the climate crisis, are they the ones that should be leading businesses or our countries? A tough question that David was brave enough to answer. He admitted that the problems seemed not only intractable but that it is hard to envisage the full scale of the consequence perhaps in thirty years. Making decisions for that timescale is hard. And on that rather sombre note, time was up and the attendees headed down to the 12 Hay Hill bar for a light supper and drinks at the end of a rewarding day.